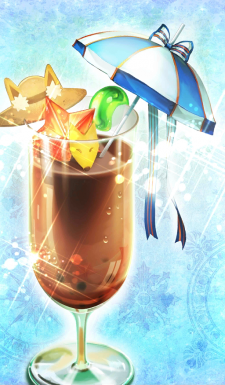 Crafted by the absolutely beautiful Tamamo Summer. A summer cocktail of melted chocolate to enjoy by the beach. "You only faint because it's so delicious. It's not because it has alcohol! Not one bit!"